• It was mostly lost in the shuffle on a day when the Twins traded Ben Revere to the Phillies and selected Ryan Pressly in the Rule 5 draft, but they also signed Jared Burton to a two-year, $5.5 million contract that includes a third-year team option. Arbitration eligible for the final time before becoming a free agent next offseason, the 31-year-old Burton will instead get $2.05 million in 2013, $3.25 million in 2014, and $3.6 million or a $200,000 buyout in 2015. 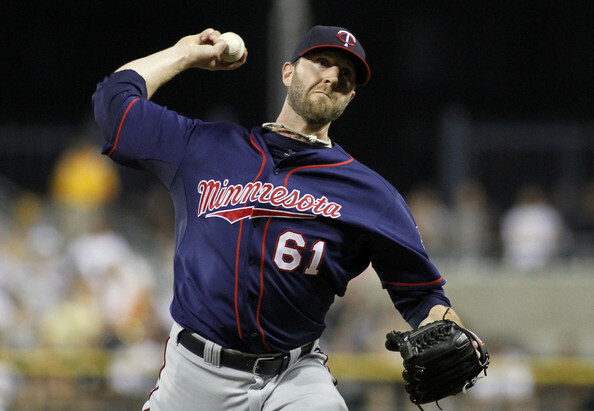 Burton joined the Twins on a minor-league deal last offseason after several injury wrecked years with the Reds and proved he was healthy in spring training to win a bullpen job. He was fantastic, emerging as the primary setup man with a 2.18 ERA, 55/16 K/BB ratio, and .186 opponents' batting average in 62 innings. Despite barely pitching in the previous two seasons Burton was at his best in the second half, convincing the Twins he can hold up physically. Given his injury history a multi-year commitment is risky, but because he was set to become a free agent next offseason going year-to-year was risky as well. Another good, healthy season would have meant trying to convince Burton to sign an extension before hitting the open market or trying to out-bid 29 other teams for him, neither of which seem likely. Now if he stays healthy they'll get a bargain and if not $5.5 million isn't a huge commitment anyway. • My assumption following the Revere and Denard Span trades was that the Twins would go with Darin Mastroianni as the starting center fielder, basically asking him to keep the position warm until 23-year-old prospect Aaron Hicks is ready to take over around midseason. However, it sure sounds like the Twins will give Hicks every opportunity to win the Opening Day job and potentially jump directly from Double-A to the majors. I'm generally not in favor of that scenario, for a couple reasons. One is that by delaying Hicks' arrival by as little as six weeks the Twins could add another full season of team control based on service time rules, basically pushing off his free agency for an extra year. Considering their long odds of contending in 2013 anyway I'd rather have Hicks for 162 extra games at age 29 than 30 extra games at age 23, and that service time tactic is common practice across MLB. Some of those players spent time at Triple-A, debuted in the majors, and then returned to Triple-A, so I counted the number of Triple-A games played before becoming an established big leaguer. Joe Mauer is the only one to jump directly from Double-A to the majors, but obviously he wasn't your average top prospect. Cristian Guzman also went from Double-A to Minnesota, but then hit .263/.303/.383 for the Twins and doesn't crack the "best hitters" list. Except for Mauer the best homegrown hitting prospects in recent Twins history all spent at least two months at Triple-A and most of them played more than 100 games there. Some of them surely were ready for the majors before then, but if the "prove it at Triple-A first" approach was good enough for the guys on that list then why not Hicks too? Span and Revere, the two players he'd be replacing, played 179 and 55 games at Triple-A, respectively. • After spending some time as a hitting coach in the Dodgers' farm system Doug Mientkiewicz is returning to the Twins as the manager at high Single-A Fort Myers, where he began his playing career in 1995. Mientkiewicz, who went to high school and college in Florida, played his 12th and final big-league season in 2009 and is now 38 years old. I'm excited to get a little more use out of my ability to type "Mientkiewicz" without looking. It took years of practice. • Jason Lane spent six seasons as an outfielder for the Astros, hitting .241/.315/.458, but was finished as a big leaguer at age 30. After five seasons in the minors Lane gave pitching a try this year, faring well on an independent league team managed by Gary Gaetti before struggling at Triple-A for the Diamondbacks. And now at age 35 the left-hander signed a minor-league deal with the Twins. • In addition to Lane the Twins also announced minor-league deals with Brandon Boggs, Ray Olmedo, Bryan Augenstein, Reynaldo Rodriguez, Scott Elarton, Virgil Vasquez, and Michael O'Connor. Odds are none of them will play for the Twins and only Boggs, Olmedo, and Augenstein received spring training invites, but it's an interesting mix of former prospects and one-time big leaguers. Elarton played 10 seasons in the majors, but was rarely effective after age 25 and hasn't pitched in the big leagues since 2008. Olmedo is a potential utility man. Boggs could be a backup outfielder. Rodriguez is a first baseman with some power. Vasquez is a generic Triple-A starter. Augenstein and O'Connor could be decent middle relievers. Mostly, though, they're all around to help Rochester have a winning record. 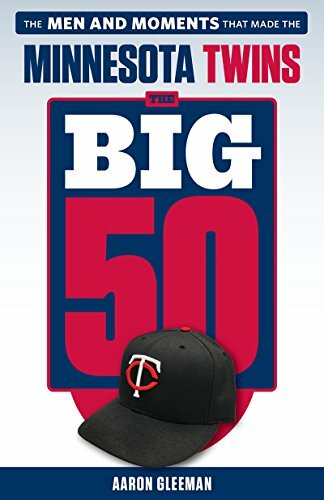 • St. Paul native and former Gophers star Jack Hannahan signed a two-year contract with the Reds that includes an option for 2015. Terry Ryan repeatedly talking about wanting some competition for Trevor Plouffe at third base led to speculation that the Twins were interested in Hannahan, but it's unclear if they ever offered him more than a minor-league contract and a multi-year deal wouldn't have made any sense. • Kevin Correia's two-year, $10 million deal with the Twins finally became official Thursday afternoon. He'll get $4.5 million in 2013 and $5.5 million in 2014. 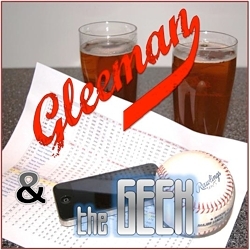 • For a lengthy discussion about the Revere trade and how much the Twins' farm system has improved in the past six months check out this week's "Gleeman and The Geek" episode. • Last night I hosted a live chat at TwinsDaily.com. It was supposed to go an hour, but there was a good turnout and we ended up going for two hours. You can read the transcript here. I’m wondering if announcing that Hicks has a chance to be the center fielder is just a publicity move for a team that needs one (or many). is rule 5 pick Mark Sobolewski plouffe’s competition? did i miss a write up you did on him? Do you honestly think that “publicity move” would have any impact on anything if the team isn’t winning games? Ryan Pressly was their Rule 5 pick. Mark Sobolewski was selected in the minor league phase of the Rule 5 draft, which means he’s almost surely just minor league filler. Love the Burton signing. It’s a cheap bet that he stays healthy. His #s were not a fluke. Agree with AG about Hicks. It would be colossal asset mismanagement to let him start in the majors, even if he plays well in the spring. It’s not like the guy put up a 1.100 OPS and is ready for the All Star Game. Get him AAA experience and delay his service clock. Mastroianni will be a fine interim option.